Legendary former lead guitarist and songwriter of the Eagles, DON FELDER is releasing his third solo effort and arguably the strongest of the three. The album features some of the biggest names in music including Sammy Hagar, Slash, Richie Sambora, Peter Frampton, Joe Satriani, Mick Fleetwood, Chad Smith, Bob Weir, David Paich, Steve Porcaro, Alex Lifeson and more. 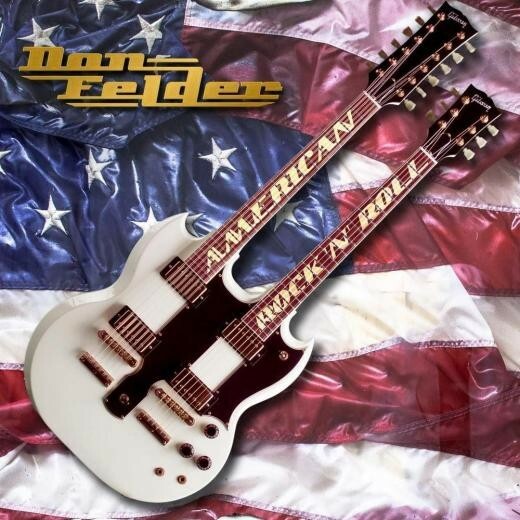 What’ll make fans even happier is learning that 'American Rock ‘N’ Roll' is as good or better than any music Don Felder has ever made.